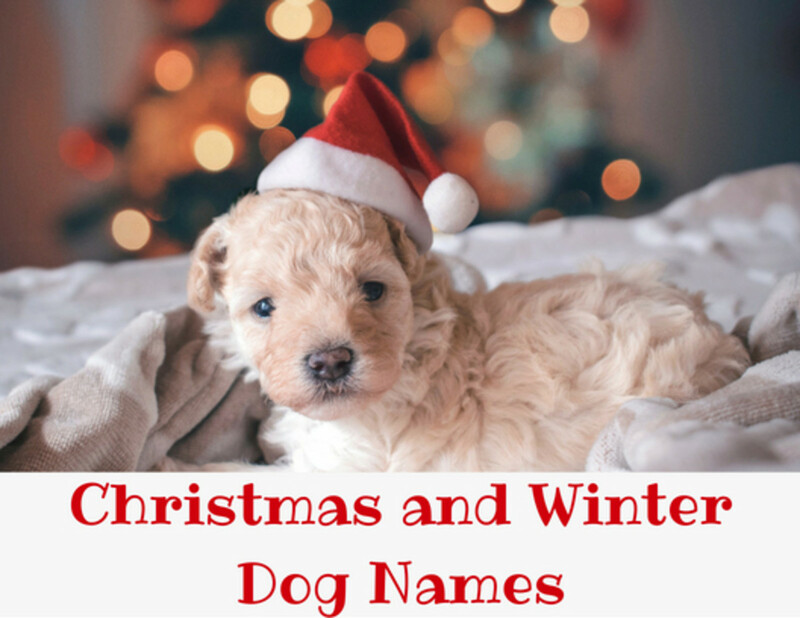 Is there a secret to naming dogs? 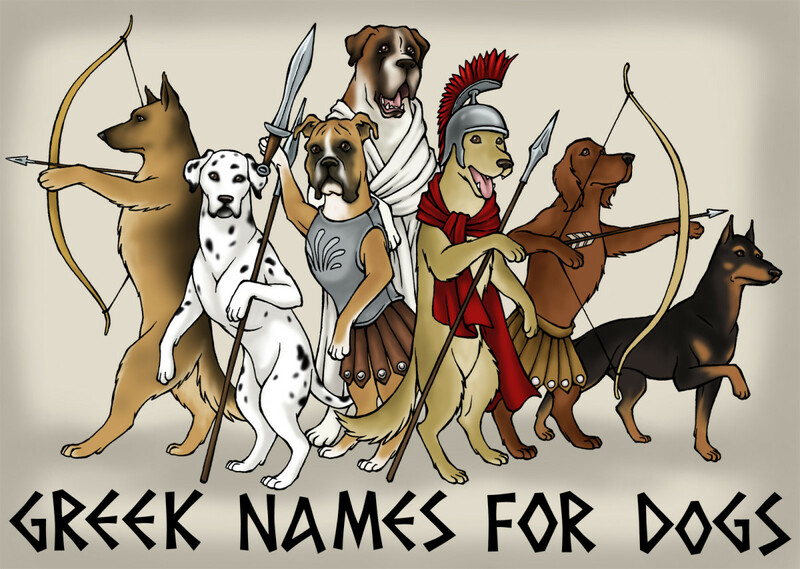 The pantheon of Greek heroes, gods, and monsters offers a variety of cool and unusual names for male dogs. However, the name you choose should reflect the qualities of the companion you're going to share your life with. If you're looking to team up with a cool Greek hero or god, here is a list of some of the more intriguing male characters of Greek mythology and their stories, as well as tips on how to choose the one that’s right for your dog’s unique character. Chaos: Primordial Greek god. Translated from Greek, chaos means emptiness, vast void, chasm, the abyss. A modern definition of chaos is unordered and formless primordial mass. While chaos in itself is neither male nor female, from chaos sprang the building blocks of earth, the Titans and the Olympians, and all other life. Chaos produced Gaea (Mother Earth), Tartarus (the embodiment of the underworld), Erebus (a symbol of dark silence), Eros (love), and Nyx (the embodiment of darkness). Name your wild puppy Chaos, and in time will come love, obedience, and order. Notus - The stormy South wind that brings late summer and early autumn rains, Notus was said to dwell in Ethiopia, the Southernmost region of the mythical realm. When the four winds mated with the Harpies, they often produced magnificent, immortal horses. Zelos - One of the winged enforcers of Zeus, Zelos is the god of envy, competition and contest, and was worshipped at the sites of the Olympic games. The words zeal and zealous are derived from his name. Zephyr or Zephyrus: The gentle wind of the west that brings spring rains to awaken Mother Earth and the interceder between the world of the living and the underworld of the dead. Zephyr was the son of Astraeus and Eos, the goddess of the dawn; he was the father of the spring flowers and Achilles’ immortal horses. Gentle, warm Zephyrus was the wind that guided Aphrodite to the sea of Paphos when she was born, and the only wind Odysseus allowed to help him find his way home to Ithaca. Name your dog Zephyr if you want a fleet, agile dog with a warm disposition. Kratos - Kratos is the brother of Nike, Bia and Zelos. He is the god of power, strength and sovern rule, and he and his siblings are winged enforcers of Zeus. It is Kratos who chains prometheus to the Rocks of Caucasus as his punishment for giving fire to mankind. Kratos does not pass his own judgements on man or gods, he exists to do Zeus' bidding and performs his tasks without judgement. 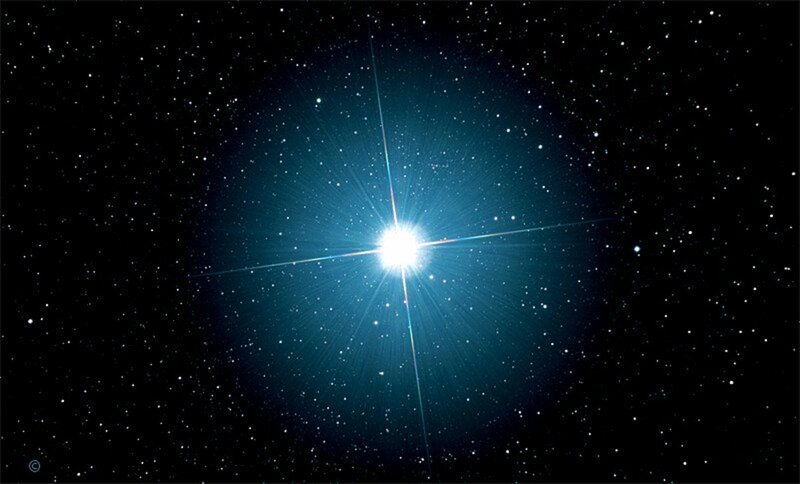 Sirius: The Dog Star and Companion of Orion. Orion was known as the “most beautiful of the Earthborn” and the greatest mortal hunter. 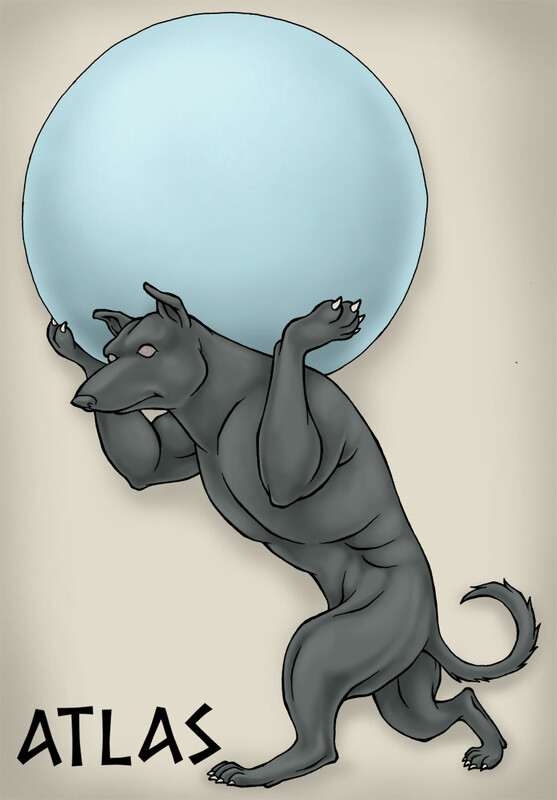 Sirius was his faithful canine hunting companion and the most famous canine in Greek mythology. After Orion boasted of his plan to kill all wild beasts on Earth, Mother Earth grew concerned and sought assistance from Zeus. Given Orion’s hunting prowess, the gods shared Mother Earth’s concern and they sent a giant Scorpion to battle Orion. Its thick external skeleton was impenetrable to swords and spears, and in time it stung Orion to death. Artemis, Orion’s hunting companion, mourned his passing and placed Orion in the heavens as a constellation. His dog, Sirius, remained on Earth searching ceaselessly for his master. Artemis took pity on Sirius and eventually placed him at his master’s side in the heavens. If you are looking for an eternally faithful hunting companion, name him Sirius after the dog star. Argos: Odysseus' faithful dog. After nearly a twenty year absence from his home, Odysseus returns to find his home is over run by suitors for his wife, Penelope's, hand in marriage. As Odysseus enters his home, no one recognizes him, except Argos, who is in a state of terrible neglect and old age. Argos raises his head and wags his tail to greet his returned master. Odysseus must remain under cover to deal with presumptuous suitors, and passes by without acknowledging Argos. Odysseus sheds a tear for his old friend as he passes, then Argos lays down his head and dies. Atlas: One of the Titans, his name means hard and enduring. In the battle between Zeus and Cronus, Atlas led the charge against Zeus. For this, Zeus singled out Atlas for the greatest punishment of all. Atlas must bear the heavens, also known as the celestial sphere (often mistaken for Earth) on his shoulders. Name a powerful working dog Atlas and he will be able to live in long service to his master. Castor and Pollux were the twin sons of Leda and the brothers of Helen of Troy and Clytemnestra. They are known collectively in Greek as the Dioscuri and were worshiped extensively in Sparta. In the myth, the twins shared the same mother but had different fathers; Zeus was father of Pollux (which meant that Pollux was immortal) and Castor had a mortal father. When Castor died, Pollux grieved for his twin greatly and asked Zeus to let him share his own immortality with his brother to keep them together. Zeus transformed them into the Gemini, the brightest star constellation. They spend alternate days together in Hades and in the Heavens. If you are seeking and inseparable bond with your dog, name him Castor or Pollux. Achilles: Achilles was the son of Thetis the beautiful nymph and Peleus the king of the Myrmidons. Initially, Zeus and Poseidon had been rivals for the hand of Thetis until Prometheus, a seer of future events, forewarned Zeus that Thetis would bear a son greater than his father. Not wishing to repeat the history of the Titans, the two gods withdrew their pursuit and encouraged her to wed Peleus. Seeking to make her son invulnerable, Thetis held him by his heel and dipped him in the river Styx. In his youth, Achilles was trained by the centaur Chiron in the art of war alongside Ajax the Great. Seemingly invincible, Achilles was the greatest warrior in Agamemnon’s army, and perhaps of his generation. He is notable in the Trojan War first for his refusal to fight (dooming the Greek army to defeat), and then for rejoining the Greeks to avenge Hector’s killing of his friend Patroclus. Achilles’ killing of Hector ensured the fall of Troy. Then Paris, the abductor of Helen, slay Achilles with an arrow directed by Apollo to the tendon of his heel, where his mother held him when she submerged him in the river Styx. Remarkably, Achilles died from the small wound. Achilles' name means grief of the people, and grief is a frequent theme in Achilles’ legend as well as throughout the epic of the Trojan War. In modern times, his name is associated with glory in war. Name your dog Achilles if you mourned the loss of a treasured companion before allowing a new canine companion in your life. Andronicus: Classical Greek name meaning victorious male. 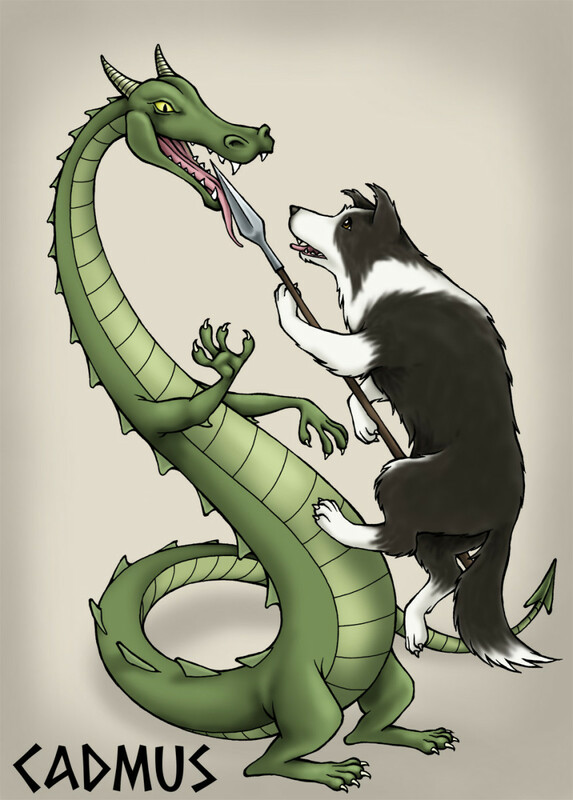 Hydra: The Hydra was a serpent or dragon with nine heads that guarded the Lake of Lerna, an entrance to the Underworld. Chop off a head of the Hydra, and 2 grew back in its place. Hercules destroyed the Hydra by decapitating each head, and swiftly cauterizing the neck with a torch, before each new head could form. Sphinx: Guardians, often flanking the entrances to temples, the sphinx have the body of a lion, wings of an eagle and the head of a human. Egyptian sphinx is male, while the Greek sphinx is depicted as female. Zeus: The youngest of his siblings, Zeus is the king of the Olympian gods, god of sky and thunder, and rules over the Heavens and Earth. All gods, including the Titans, bow down to him. Zeus is best known in Greek mythology for his amorous exploits which resulted in a pantheon of gods and half-god, half-mortal creatures. His children are Aphrodite, Athena, Ares, Hermes, Dionysus, Hephaestus, Persephone, Apollo, Helen of Troy, the Dioscuri, Perseus, and Heracles, among many others. Zeus is consistently a favorite dog name, regularly in the top 50 most popular male dog names year after year. Ajax: Known as Ajax the Great (and stronger than dirt), he figures prominently in the Trojan War. Renowned for his great strength and good looks (he was considered the second best-looking man in Greece), he is described as being fearless, courageous, and as having great combat intelligence. He was a man of colossal size and broad frame, trained in the arts of war by the centaur Chiron, alongside Achilles. As the second most valuable warrior in Agamemnon’s army (second only to Achilles), he is the only principal character in the Trojan War not to receive substantial help from the gods or be wounded in the battle. 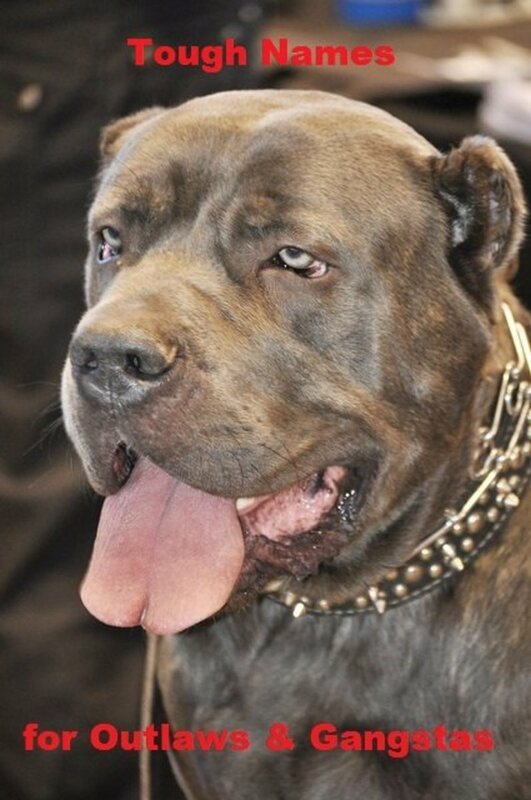 Name your dog Ajax if you are seeking a smart, courageous guard dog of colossal size and strength. Spartan: Spartans were the citizens of Sparta, a Greek city which stood out in its day for its singular dedication to the art of war. Spartans were known to live a no-frills lifestyle, focusing from age seven and up on rigorous battle training. So austere were they that "spartan" is a synonym for rigorously disciplined, frugal, brave, and undaunted. The Spartans were considered the greatest warriors of the ancient world, and their women enjoyed considerable freedom compared to the women of contemporary cultures. The film 300 recounts the tale of the three hundred Spartans who fought to the death against the overwhelming forces of the Persians. While they ended in defeat, they did inflict heavy casualties on the Persians before their demise. Spartan is an excellent name for any of the lean, short coated bully breeds including pit bulls, Dobermans, boxers, and chihuahuas. Call your dog Spartan if you want a cool, forthright, and well-disciplined companion. Typhon: The most deadly creature of the Greek mythologies, Typhon was a serpent born of Gaia and Tartarus. The epic battle between Zeus and Typhon resulting in Zeus becoming the king of the gods, and Typhon being cast into Tartarus, a deep abyss and dungeon for the imprisonment of the Titans. Pan: God of shepherds and flocks, Pan was part man and part goat. He had the pointed ears of an animal, a pug nose, small goat horns, and walked erect on goat legs and cloven hooves. His body was fully covered with hair ending with a goat’s tail. Pan was born fully developed, so that his mother ran away with terror when she first saw him. Hermes took pity on the abandoned child and brought him up to Mount Olympus where he and the other gods delighted in him. They named him Pan, meaning all, because he brought pleasure to all the gods. He was a particular favorite of Dionysus, god of wine. However, the nymphs were not as charmed by Pan, and a series of tales ensues where love-struck Pan pursues nymphs only to find they would rather be turned into reeds or echoes than live as his consort. Name your herding dog Pan if you would like him to be a delight to all. Hermes: The god of animal husbandry, including cattle-herding, shepherding, and goat-herding, and of breeding of horses and mules. Known as a trickster, he is also the god of cattle thieves. As the messenger of the gods, he is depicted with winged sandals and cap; he moves easily between mortals and the divine and conducts souls to the afterlife. His Roman counterpart is Mercury. Name your herding dog Hermes or Mercury if he has a mischievous streak. Apollo: God of light and the sun, poetry, the healing arts, truth, and prophecy, and defender of herds and flocks, Apollo is one of the most important of the Olympian gods. He is an oracular god and the patron god of Delphi. As the leader of the Muses, he directs their choir. Interestingly, while he is associated with healing and is the physician to the gods, he can also bring about plagues and death with his arrows. Apollo is the twin brother of Artemis and is depicted as an idealized beardless and athletic youth. He is often depicted with his bow and arrows and his lyre, created for him by Hermes. Cadmus: Legendary founder of Thebes. By virtue of his ability to follow the instructions of various kings, oracles, gods, and goddesses, Cadmus built the city of Thebes and fathered a line that figures prominently in many of the Greek tragedies. When Cadmus’ half-sister Europa was carried off by Zeus disguised as a bull, Cadmus' father instructed him and his brothers to find Europa, and not to return to the city without her. Given that the bull was no ordinary bull, the quest was long and fruitless. Exhausted from their search and unable to return home against their father’s wishes, the brothers found new homes. Cadmus went with his mother to Thrace. When she passed, Cadmus went to see the oracle at Delphi to decide what to do next. The Oracle advised him to follow a cow with a white half moon marking on its rump. Wherever the cow stopped, he was to build a city. Cadmus followed the oracle’s instruction, and when the cow collapsed in exhaustion, Cadmus made preparations to sacrifice her to Athena. He sent members of his entourage to collect water for purification of the sacrifice. When they did not return, he sent more. This continued until Cadmus was alone. He then went himself to the spring and found a dragon, lethargic from its feast, having consumed all of Cadmus’ men. Furious and unaware that the dragon was a son of Ares, Cadmus slew the dragon. Ares was enraged. Alone and in need of companions, Cadmus sought Athena’s help. She advised him to sow half of the dragon’s teeth in the ground if he wanted companions and sow all of the teeth if he wanted warriors. Following her advice, Cadmus sowed half of the seeds and gave the other half to Athena. However, Ares intervened, and fully-armed warriors sprang up from the teeth Cadmus had sown. On Athena’s further advice, Cadmus threw stones among the warriors, and they, each thinking another soldier had thrown the stone, killed each other. To atone for the crime of killing Ares’ dragon, Cadmus lived in service to Ares for eight years. When his service ended, he was married to Ares and Aphrodite’s daughter, Harmonia. The wedding was attended by gods and muses and the marriage produced four daughters and a son. Name you male dog Cadmus if you want a dog that can follow complicated instruction and live in many years of faithful service. Pegasus: The white winged stallion was fathered by Poseidon and foaled by the Gorgon Medusa upon her death, when the hero Perseus decapitated her and the white horse sprang from her neck. Pegasus assisted a number of heros in their conquests of monsters, including Perseus and Bellerophon. Apollo: Greek god of the healing arts, the god of light, god of foresight, the god of truth, and the god of music and musicians. Apollo often finds himself in hopeless unrequited loves, that lead to the giving of gifts which cannot be taken back, thus requiring resourceful curses to unwind the gift. In the case of Cassandra, Apollo gave her the gift of foresight. When she rejected him, Apollo amended the gift with the caveat that no man would believe her prophecies. As a result, Cassandra was viewed by her contemporaries as a lunatic, spouting strange impossibilities regarding the future. Chiron: The civilized centaur. Centaurs were a race notorious for being wild and lusty, indulgent drinkers, and considered to be unfit for any useful purpose. Centaurs are half-man and half-horse, possessed of great size and strength, and capable of inflicting great violence when intoxicated. However, Chiron was unique among the centaurs. He was intelligent, civilized, and kind. A son of Cronos, he was immortal and did not share bloodlines with the other centaurs. Early Greek myths attribute his gentle nature and sophistication to his youthful tutelage under Apollo and Artemis. Skilled in the medical arts, an astrologer, and a respected oracle, Chiron was said to be first among Centaurs and was himself a highly revered teacher and tutor. Many Greek heroes are counted among his students, including Ajax, Aeneas, Actaeon, Caeneus, Theseus, Achilles, Jason, Peleus, Telamon, and Perseus. Call your dog Chiron if you are looking for a kind, intelligent and obedient companion. Titan: The elder Gods, the Titans, predated the Olympians. Their king, Cronus, was the father of the majority of the Olympians. After being dethroned by Zeus, the Titans were banished to Tartarus. Notable Titans include Prometheus (who gave fire to mankind), Atlas (who bears the heavens on his shoulders), and Gaea (Mother Earth). Name your dog Titan if you need to subjugate a giant among dogs. 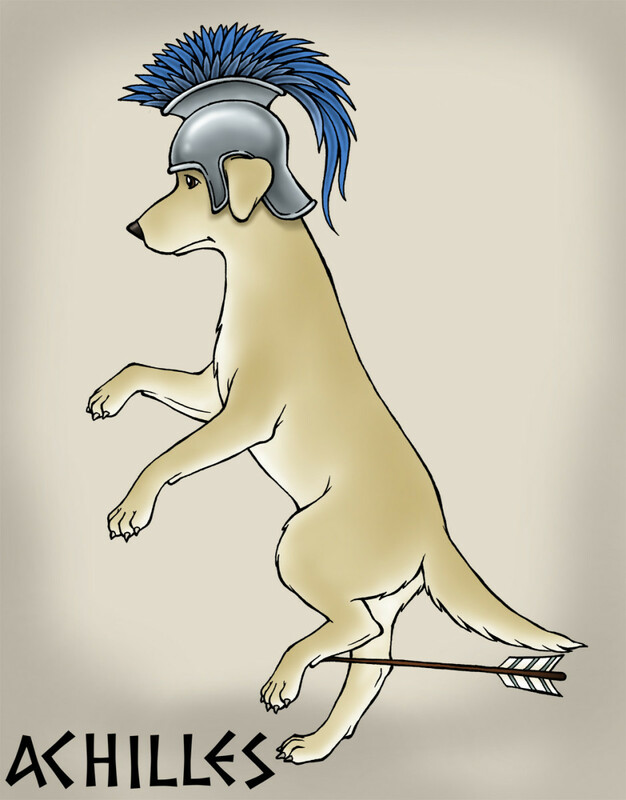 Argos: Odysseus faithful dog in Homer's Odyssey. Laelaps: When Zeus was a baby, a dog, Laelaps, known only as the “golden hound” was charged with protecting the future King of Gods. Later, Zeus gifted Laelaps the Europa. Orthrus (or Orthus): Two-headed dog and brother of Cerberus, the Sphinx, the Hydra of Lerna, and the Chimera, all whelped by the chthonic monsters Echidna and Typhon. He belonged to the three-bodied giant, Geryon, and he and Eurytion were charged with the guarding of Geryon’s herd of red cattle. Heracles' (Hercules') tenth labor involved the capture of the red cattle, and Heracles slew Orthrus, Eurytion, and Geryon to get them. 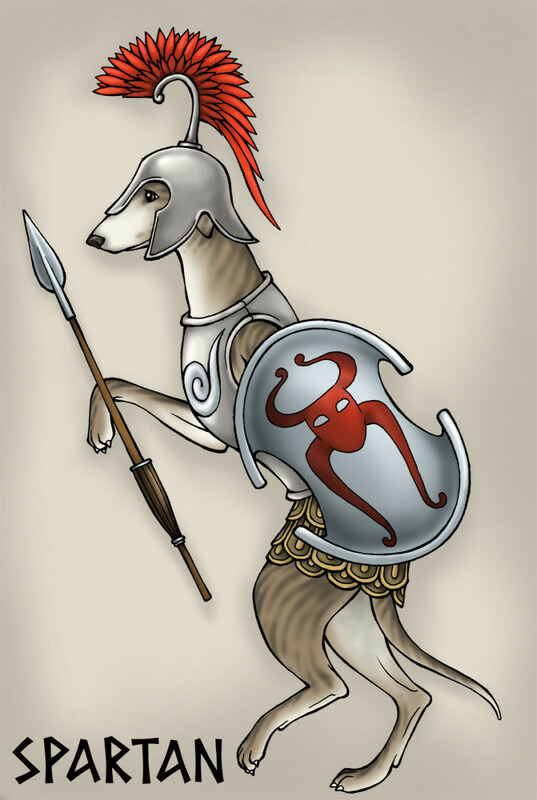 Name your dog Orthus if you are looking for an exceptional guard dog. 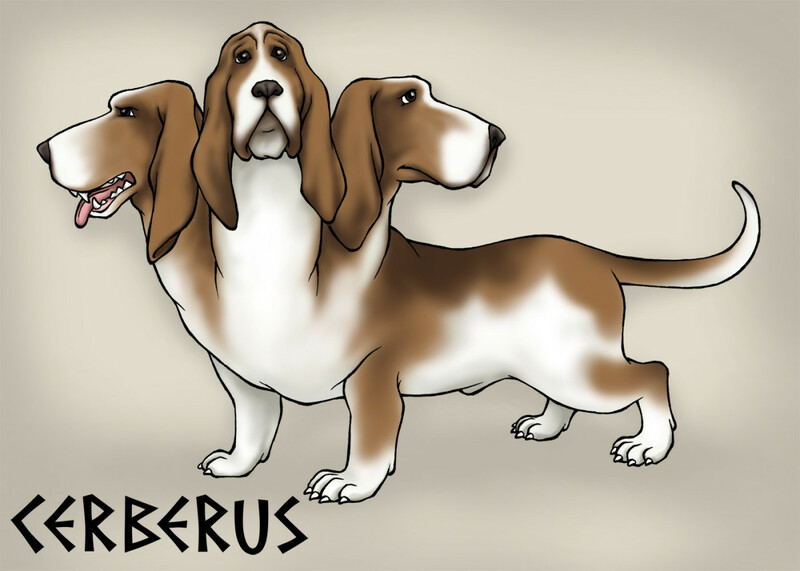 Cerberus: The three-headed dog that guards the entrance to the underworld. One head sees the past, one the present, and one the future. Cerberus only has a taste for live flesh, therefore no living man can enter the underworld. Cerberus also prevents the escape of souls from the underworld. Sirius: Orion's faithful hunting companion, Sirius mourned the lost of his master for a year, as he wandered the Earth. eus taking pity on the hound, added him to Orion's constellation, as the brightest star. Do you believe that names are self-fulfilling prophecies and can affect a dog's temperament? Argos: Located in Eastern Peloponnesian, Argos was known for it horse rearing. Ruled by Agamemnon during the Trojan war, it is also believed to be the birthplace of Perseus, slayer of the Medusa. Troy: The high walled city that lay under siege for nine years during the Trojan War following the abduction of Helen. The Greeks launched a thousand ships to conquer Troy and return Helen to her home and husband King Menelaus. Attica or Atticus (one from Attica): An ancient historical geographical region in Greece which includes Athens, Attica is also a correctional facility in Attica, New York, home of an infamous 1971 riot. In modern literature, Atticus Finch is the gentle and well-respected father and attorney in To Kill A Mockingbird. Atticus Finch represents justice and moral fortitude. Name your dog Atticus if you want a kind, intelligent companion. Ithaca: Greek island and Odysseus’ home. Following the fall of Troy, Poseidon cursed Odysseus to wander the Earth for ten years and lose all of his crew before he could return to his homeland of Ithaca. Odysseus and his crew struggled through a series of trials that include a Cyclops, the Sirens, the clashing rocks Scylla, and the whirlpool Charybdis in order to return to his beloved Ithaca and wife, Penelope. Ithaca represents home, constancy, and faithfulness. Aeolus: Keeper of air and the winds and king of king of the island of Aeolia. Here he keeps the most violent winds in a cavern, released only at the request of the greatest of the gods. Aether: Primordial deity of the upper atmosphere. Alastor: Spirit of Vengeance and family feuds. Andronicus: Ancient Greek for male victor or male warrior. Aquarius: Also known as Ganymede, a beautiful youth who was taken to Mt. Olympus to be cupbearer to the gods. Aristotle: Ancient Greek philosopher and scientist, considered one of the founders of Western philosophy. Aeneas: Son of Aphrodite ans ancestor of Romulus and Remus, Aeneas was a Trojan hero and the subject of Virgil's Aeneid. Aeneas means "in-dweller" referring to the concept of a god dwelling in a mortal body. Aesop: A Greek story teller and creator of a collection of eponymous fables. Agamemnon: Agamemnon commanded the united Greek forces during the Trojan War. King of Argos and father of Electra and Orestes, he was murdered by his wife and her lover upon his return from the war. His children, Electra and Orestes, plotted to avenge their father's death. Ambrosia: The food and drink of the gods. Balius: One of a pair of immortal horses. Balius and Zanthus were the sons of a harpy, Podarge, and the West Wind. Baltazar: Ancient Greek name and one ascribed to one of the Magi. Caerus: God of luck and opportunity. Dionysus: Greek god of wine. Galen: Ancient Greek physician, following in the medical arts of Hippocrates. Hector: Son of King Priam of Troy and hero of the Trojan War. Hector was considered the ideal warrior. Late in the war, Hector was killed by Achilles, and his body was drug around Troy by Achilles for 12 days, in revenge for the killing of Achilles friend, Patroclus. Hephaestus: Lame god of fire. Hippocrates: Ancient Greek physician and father of modern medicine. Homer: Ancient greek poet and author of the Iliad and the Odyssey. Icarus: Fitted by his father, Daedalus, with wings made of feathers and wax, Icarus was set to escape the tower of King Minos of Crete. However, Icarus failed to head his father's warnings not to fly too close to the sun. Icarus soon found that his wings were melting as he approached the sun, and finally they disintegrated, plunging him to his death in the sea. Icarus is a good name for a dog that does not like to listen. Midas: Greek king with the touch of gold. Morpheus: Greek god of dreams. Oceanus: Titan god of the ocean. Odysseus: Homer's hero of the Odyssey; following the Trojan War he spends twenty years attempting to return home to Ithaka. Olympus: Mount Olympus is the home of the Olympian gods. Orestes: Son of Agamemnon and brother of Electra, Orestes takes the life of his mother, Clytemnestra, in revenge for her part in his father's death. Orion: Famed hunter who bragged he would destroy all beasts on earth. Frightened by his boast, Gaia, mother Earth, sent a giant scorpion to battle Orian. The scorpion won, and Zeus, out of respect for the hunter, placed him and his dog, Sirius, as a constellation in the heavens. Orpheus: Poet and musician of great renown and happily married to Eurydice. When his beloved wife was bitten by a serpent and killed, he convinced the gods to allow him to enter Hades and retrieve her. They agreed under one condition, that he must trust that she is following him out of Hades, and not look back, not even once. Emerging from Hades, Orpheus glanced back to soon, and Eurydice, who had been silently and faithfully following, was lost to him forever. Perseus: Slayer of the Gorgon, Medusa, Perseus used her head in subsequent adventures to good advantage, as her eyes, even in death, could turn man and monster to stone. The slaying of Medusa produced the winged horse, Pegasus. Phobos: The personification of fear. Plato: Greek philosopher that figures prominently in Aristotle's teaching. Poseidon: Greek god of the seas. Sophos: Ancient Greek name meaning "wise." Tantalus: Cursed by the gods for bringing ambrosia and the nectar of the gods to man, Tantalus suffers for all eternity. He stands in fresh water beneath the bough of a fruit tree. The fruit always remains just out of his reach, and the waters always recede from his reach when he bends to drink from the lake. Theseus: Mythical king and founding hero of Athens. Tiresias: Blind prophet who tells Oedipus that he, himself, is the murderer that he seeks. Additionally, he is visited by Odysseus in the first level of hades, where he tell Odysseus how to return home to Ithaka. Tartarus: Primordial force and deity. Triton: Son of poseidon and messenger of the seas. Typhon: God and father of monsters: the Sphinx, Cerberus, Hydra, Orthrus, the Chimera and the Gorgons. Xanthus: One of two immortal Greek horses. Xanthos and his brother Balius drew the chariot of Achilles. Xenon: Ancient derivative of Zeus. A list of military dog names and their meanings inspired by war heros, great generals, weaponry, and ancient history. 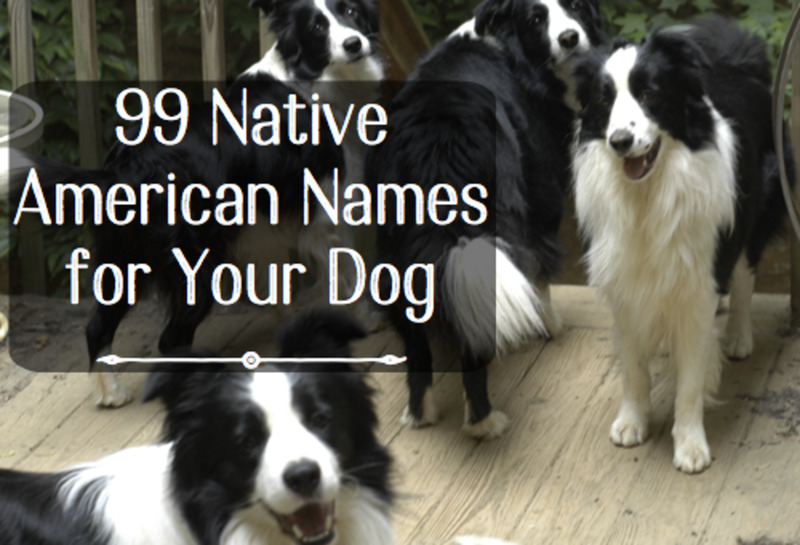 These meaningful and lyrical Native American names and words make cool names for strong and small dogs alike. 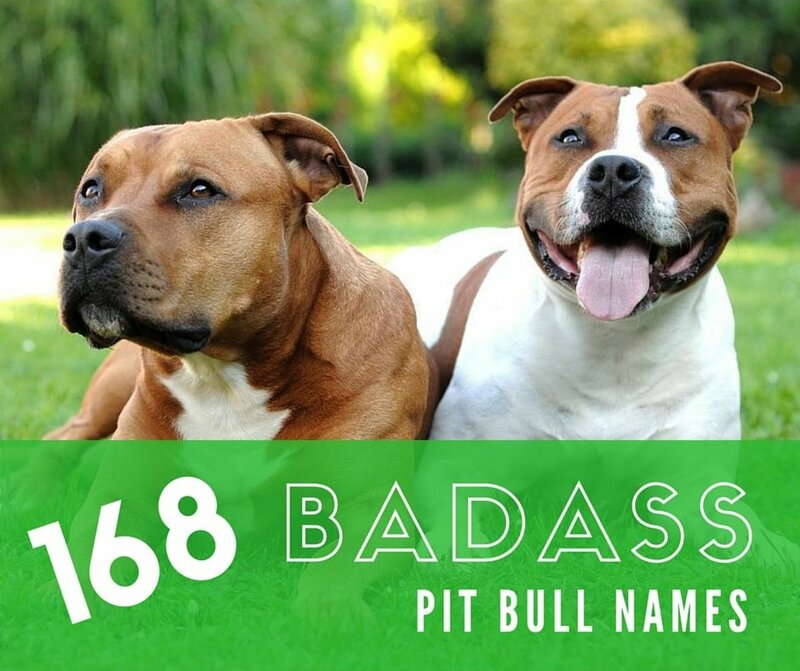 Looking for an unusual name for your new male dog? 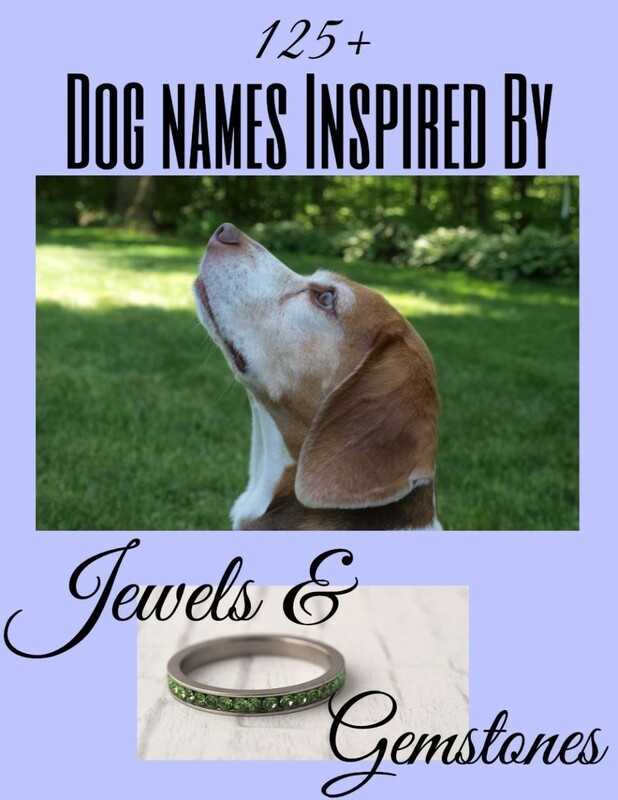 Celtic history and legend provide a rich pantheon of untapped dog names. Check out these meaningful and powerful dog names based on noble titles from various cultures around the world. We had a Poodle name Cronos the god of confusion. Are Rotties name was Devo. didn't ajax kill himself because Odysseus won Achilles armor? We are getting another German Shepherd male puppy and cannot decide on a name. My other GSD is Cesar. So we might get a new male chihuahua. We were thinking maybe Apollo or Hermes since he is just a bundle of joy and light and he stole our hearts and he carries love wherever he goes. He is a fantastic 7 year old chi which one is better? Back in the 1990's, after my first samoyed "Shadow" passed away, I had decided to name all my subsequent samoyeds after Greek gods and would work my way through the alphabet. First one was Apollo, my second was Boreas (god of the north wind—very appropriate for the breed), last night we welcomed Chaos into our home and in 3 weeks I will get a little girl who needs to be a "D". I have an idea but still working on it! Argos hit the feels. My next male Samoyed will most likely bear that name. we have been looking all year for a boy dog now we know what we want we just need a Greek name. After spending all night looking I also came upon the story of Orpheus and Eurydice. I thought there was one more appropriate but am unable to find it. I think Orpheus will be my ultimate choice in the end. Thank you for a fast response. Hi Tyler; There are a couple of Greek myths that revolve around cheating death. Sisyphus was an ancient king that lived a debauched lifestyle and was a cunning cheat. The gods wanted him dead, but in a series of tricks he cheats death on two occasions. Eventually the gods prevail, and he is forced to roll a rock up a hill and then watch it roll back down the hill just as he reaches the summit, for all eternity. I don't recommend that name lol. Orpheus on the other hand loses his love and wife Eurydice to a viper's bite. 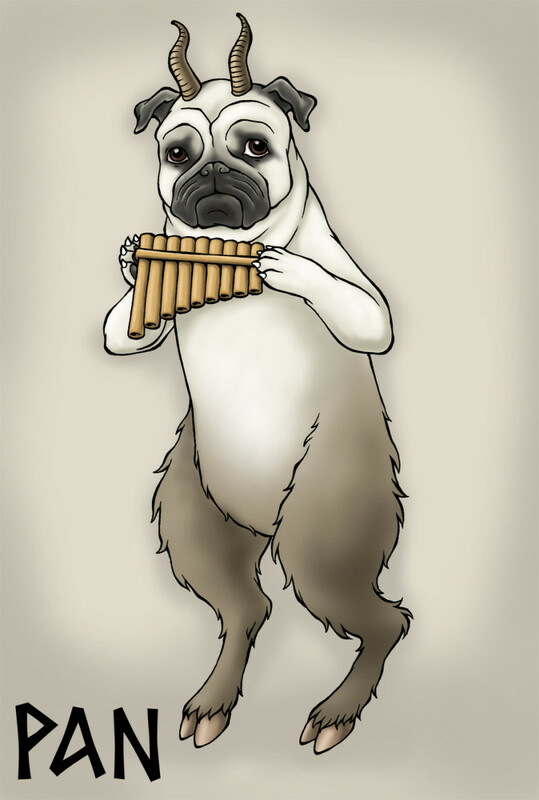 Orpheus is a great musician that can charm all creatures. At the advice of the gods, he uses his lyre to charm the guardians of the underworld, including Hades and Persephone. They agree that he may return to the living with Eurydice on the condition that he not look back at her until they have reached the upper world. Orpheus becomes nervous and impatient, hearing nothing behind him. Once he reaches the upper world, he looks back to see that, yes, Eurydice was there behind him, but he has looked too soon. Having not yet reached the upper world, she fades back to the underworld, and is lost to him forever. Name your dog Orpheus if you want a faithful dog with the ability to charm everyone, but who also sometimes lacks patience. I'm going to pick him up from the shelter here in a couple of days when they release him. I thought about soldier but it's too plain I want something more unique. I know there is a Greek myth where someone cheats death and escapes from hades but can't remember the name. I have a unique situation. I have always named my dogs based off greek or roman themes. I recently lost my dog Jupiter in a bad way. After not wanting another dog for a long time, I found one that needs me as much as I need him. This little guy is a 8-10 week old pit bull puppy. He was emaciated as well as both him and his siblings had Parvo he is the lone survivor. His mother was beyond help and the others lost to Parvo he had been through so much just to live as long as he has. I nred a name to give his strength and will to live justice. How about Edelweiss (meaning noble white flower or soldiers flower as in Sound of Music and Band of Brothers)? I try to name my dogs after a song that fits them. My little Sherry was named after Stevie Wonder"s Ma Cherie Amour (spell?). My sweet gentle Georgia is named after Ray Charles Georgia On My Mind. Sophie is named after my aunt just because I liked the name. Chico is the littlest one (in Spanish), a chihuahua. I had a little guy named Tiger by the rescue center and everyone was afraid of him. I'm not afraid to keep the rescue's name for the dog, as in Bugzy's case. It is a good name for her because her eyes bug out. Hi Healthywho: I vote for Troy for your proud new Dalmatian's name! You did a great job with all these names, but since they aren't in charts I couldn't read it. Not that its messy, but maybe make a chart version. Hi Georgia: You could name your French Bulldog Paris; Mimi is nice too. Hi Deepthi - If you want furious, consider Wagner and Ride of the Valkyries! Just thought I'd point out that Thoth is an Egyptian god... not Greek. Cute and useful. We're on the verge of adopting a new male dog to keep our Lab company. He misses his sister who crossed over recently. Thanks for the great suggestions on names. This was so helpful. My Chocolate lab has been teething. Anything that she sees which is fairly easy right now because we just moved in. I am crate training. You could hear her from out side when we would pull up. But the past two days everything's we have come home she's laying down waiting for one of us to open the door. Hi Veronica - Thanks for dropping by! What is a purple tri? Hi Yoyo - that's a great name for a St. Bernard! Hi Christy - thanks for visiting. Yes, I love the name Atticus and still love To Kill A Mocking Bird! These were all very interesting, my favourite was Atticus. Very clever article! All of these names are great... I'm kit sure how geeky they are. I imagine something like: R2-DOG2 or Firenze... Something a little bit more pop I guess. This is a fantastic idea....bookmarked this for later reference....thank you for you useful and practical idea. LOL! Please u need to and trust me! You will not regret it. "The Soul Talkers" By Funom Makama. Hi Natural Holistic - thanks for dropping by - I love the herding group and corgis are particularly charming! Interesting :). I will keep this in mind when I buy another dog, the one I have now has a British name 'cause he's a Welsh Corgi! Thanks TarrinLupo and Sharkye11 I actually have a little girl named Nike from my female Greek name list! I always loved their mythology. Cool hub! Ajax is definitely a great dog name! Love that you rounded this out with a little history and trivia on the names rather than just a list. Sharing! Groovy names, I love these. Hi Mel Jay - do you lure course with your whippets? I have taken the border collies lure coursing a few times and it was great fun! My little Nike is a devil; she is teething and into everything. Nike is a great name - I'm thinking that I would really like to call my next whippet Sirius, but of course hopefully that is a long long time off as I have two gorgeous whippets and that is enough for now! Thanks EuroNinila and Mel Jay: I love Greek Mythology and their names for puppies. I have a Nike here at the house and a friend with Ajax! What a great topic - you managed to combine two of my favourite things - all things Greek and dogs! Haha interesting hub! 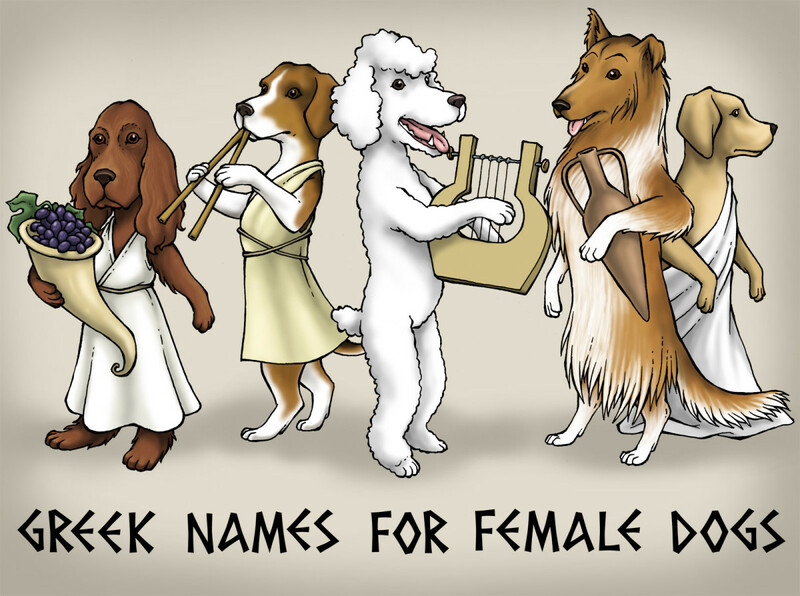 Funny because a lot of dog names are Greek, and I'm Greek too lol.